Do you need Guest Post Service on High DA PA health Blogs which have Good Traffic ? Then Work with me...I have so many blogs of health with High DA PA & Good Traffic...!! You will get Permanent Post...!! You will get 3 Attractive images each Post...!! You will get 3 Dofollow Backlinks each Post...!! If you need also write article then i have best team of Writers...Then you can contact to me for Writing Articles...!! 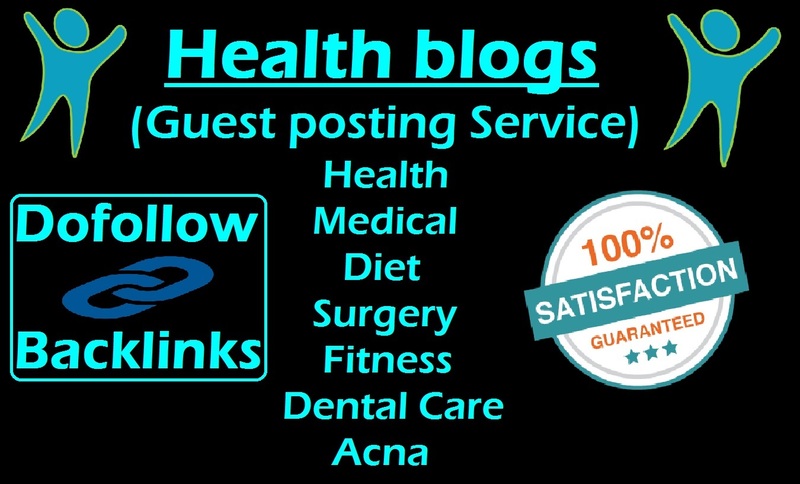 Guest Post Sevice on Health Blogs DA52 is ranked 5 out of 5. Based on 2 user reviews.